WOW! We found 48 results matching your criteria. Air Dry Extended Wear Polish. 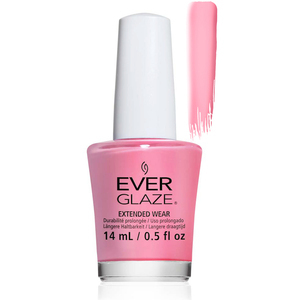 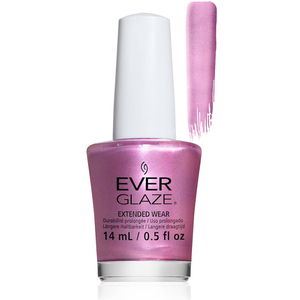 China Glaze EverGlaze Extended Wear is an advanced two-step color system that locks on to nails to last longer than traditional polish without the complications of gels. The EverGlaze Extended Wear Lacquer and Active Top Coat fuse together as a system to create a durable manicure with a high gloss shine. This fast drying 2-step color system uses active lacquer technology to deliver up to 10 day gel-like shine and wear. 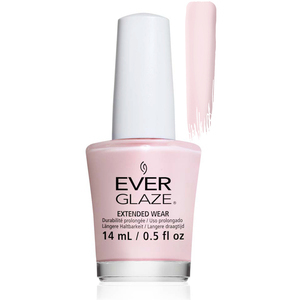 China Glaze EverGlaze Extended Wear features a unique flat brush that provides a flawless, smooth application with no streaking or drag. No base coat or UV light needed plus EverGlaze lacquer removes easily just like regular polish. China Glaze EverGlaze Extended Wear is an advanced two-step color system that locks on to nails to last longer than traditional polish without the complications of gels. The EverGlaze Extended Wear Lacquer and Active Top Coat fuse together as a system to create a durable manicure with a high gloss shine. This fast drying 2-step color system uses active lacquer technology to deliver up to 10 day gel-like shine and wear. China Glaze EverGlaze Extended Wear features a unique flat brush that provides a flawless, smooth application with no streaking or drag. 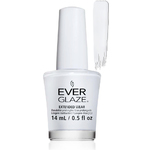 No base coat or UV light needed plus EverGlaze lacquer removes easily just like regular polish.